The B3800 Louis Phillipe King Bedroom Group by Rooms Collection One at Rooms Furniture in the Houston, Sugar Land, Katy, Missouri City, Texas area. Product availability may vary. Contact us for the most current availability on this product. Drawer Suspension Drawers feature ball-bearing glide components. Drawer/Shelf Construction English and French dovetailing to maximize storage capacity and strength. Warranty Crown Mark does not offer a warranty to the consumer. Any warranty offered is based solely at the discretion and is the responsibility of the retailer from whom the product is purchased. Case Construction The collection uses a combination of selected hardwood and softwood solids, Cherry veneers, and wood and/or simulated wood products. 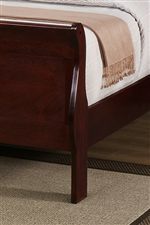 The Louis Phillipe Cherry Bedroom Group provides you with gorgeous transitional furniture for your sleeping space. Made with Asian hardwoods, cherry veneers and a rich cherry finish, these pieces offer a warm and welcoming feeling to the space. 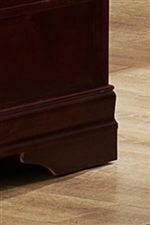 Quality is seen in the English and French dovetail drawer construction and ball-bearing glides. With charming features such as bracket feet and metal bail handles, this collection is a lovely addition to your home. 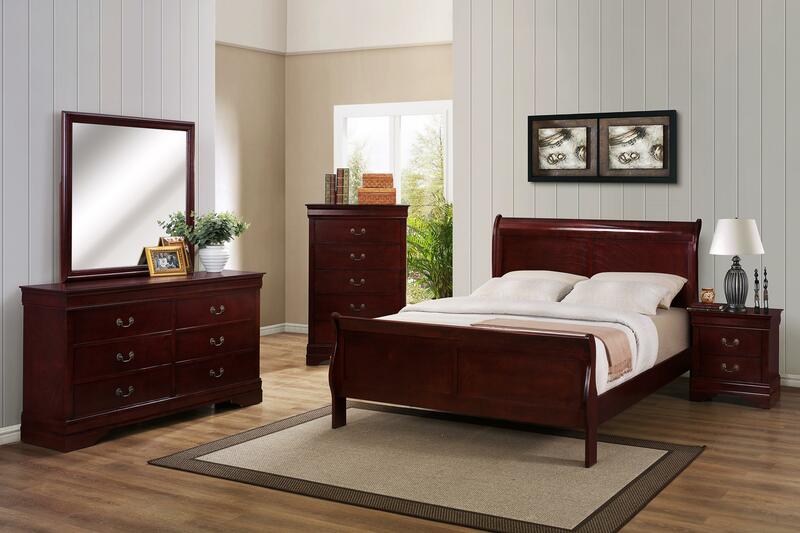 For durable and alluring bedroom furniture, look no further than this Louis Philip collection. The B3800 Louis Phillipe collection is a great option if you are looking for Transitional furniture in the Houston, Sugar Land, Katy, Missouri City, Texas area. Browse other items in the B3800 Louis Phillipe collection from Rooms Furniture in the Houston, Sugar Land, Katy, Missouri City, Texas area.